Winter is coming and so is Easter. Are you ready? 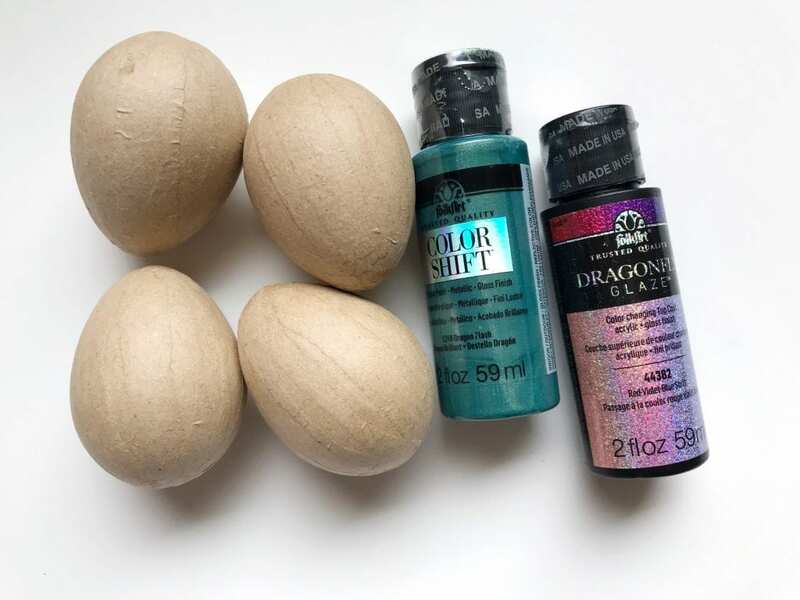 You will be for both after learning how to make these DIY dragon eggs perfect for a Game of Thrones, Easter or better yet both! Grab a pint of ale, some fishnet stockings and let’s get medieval on some eggs. 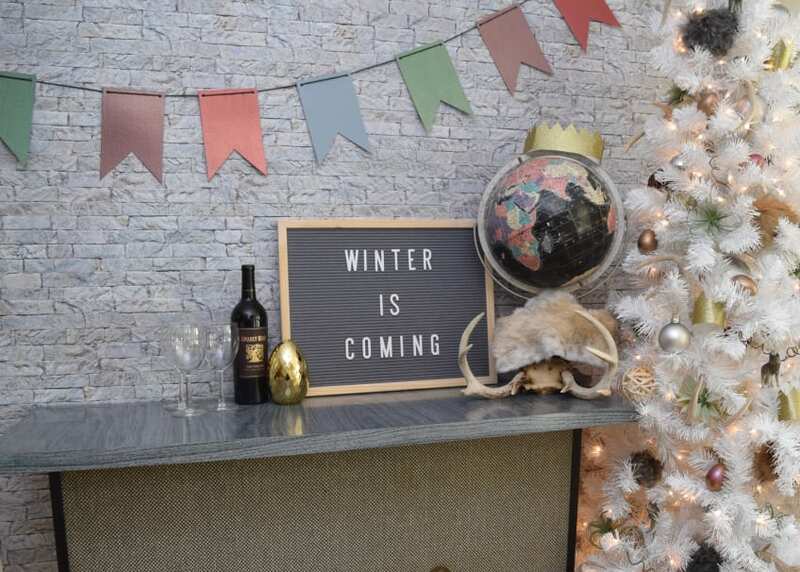 When Treetopia asked me to decorate a tree for a Game of Thrones Viewing Party I took the idea and ran with it. I drilled into dire wolves and put a dragon on as a Treetopper just like any mega fan would. 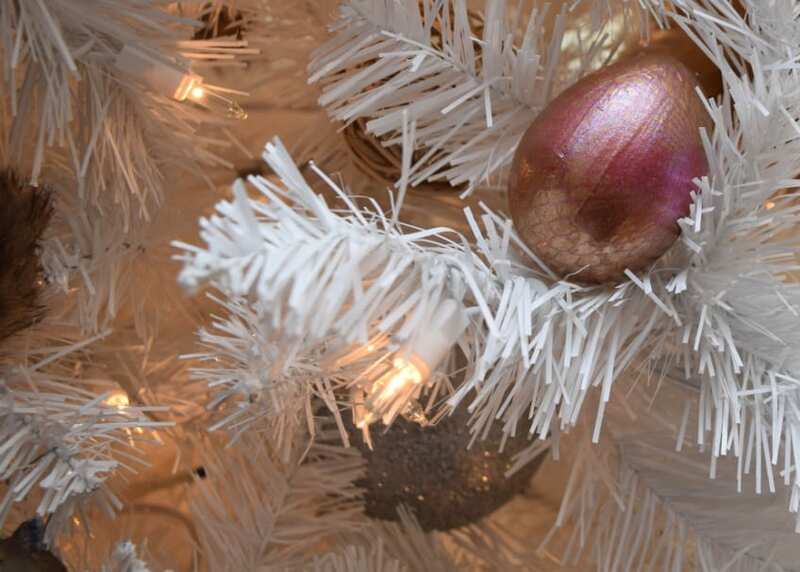 However, the DIY dragon egg ornaments might just be my favorite part. Well that and the charcuterie board because ya know, cheese always wins. 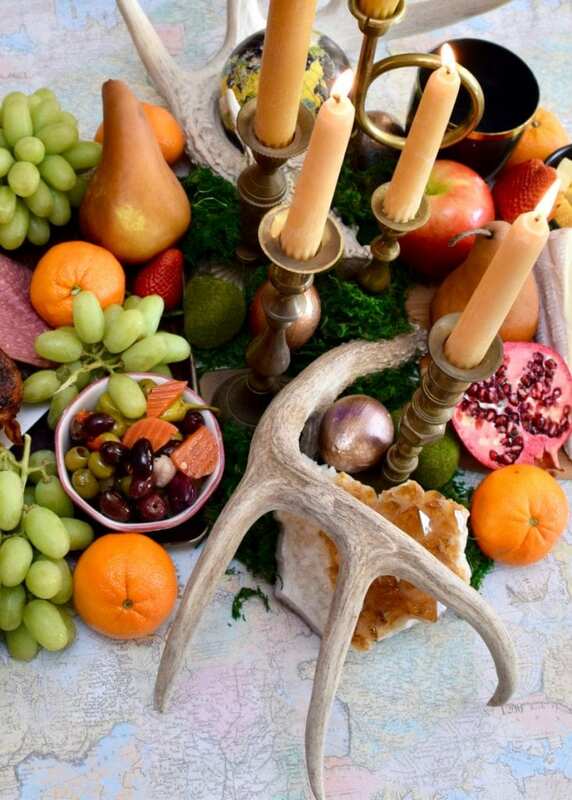 Sure this weekend is the Game of Thrones premier and if you are hosting a viewing party I gotta say a tree is a great touch, but don’t forget Easter is also on the way. So these Mother of Dragon eggs are double the DIY fun. Did you catch the DIY Mermaid Easter Eggs I made last year? Same technique, but instead of mermaid scales these are dragon scales. P.S. Affiliate links ahead, buying through these links helps support this site. 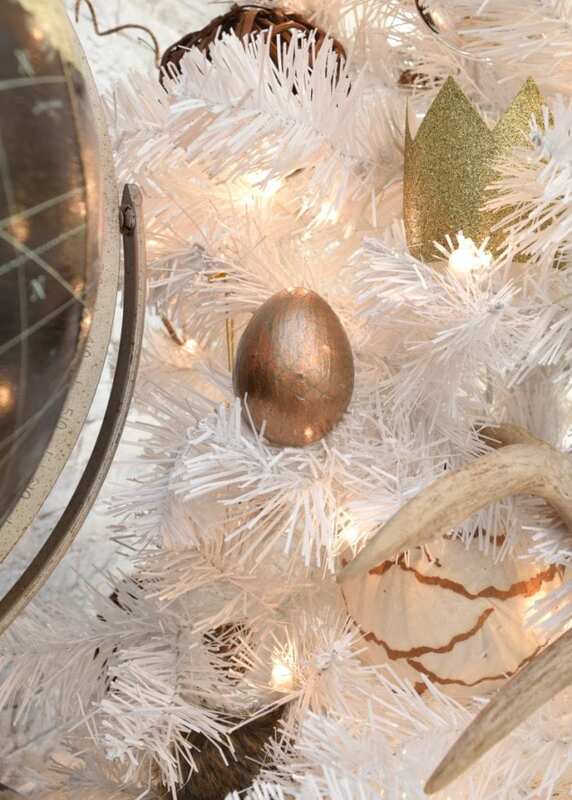 Using a metallic paint like Colorshift or Dragonfly Glaze from Plaid paint your eggs. Allow to dry completely. Also, more than one coat might be necessary. I mean really, when was the last time you actually wore those fishnet stockings in the back of your closet? Might as well craft with them. Mine were leopard print even! Wrap your eggs tight and cinch off with rubber bands. 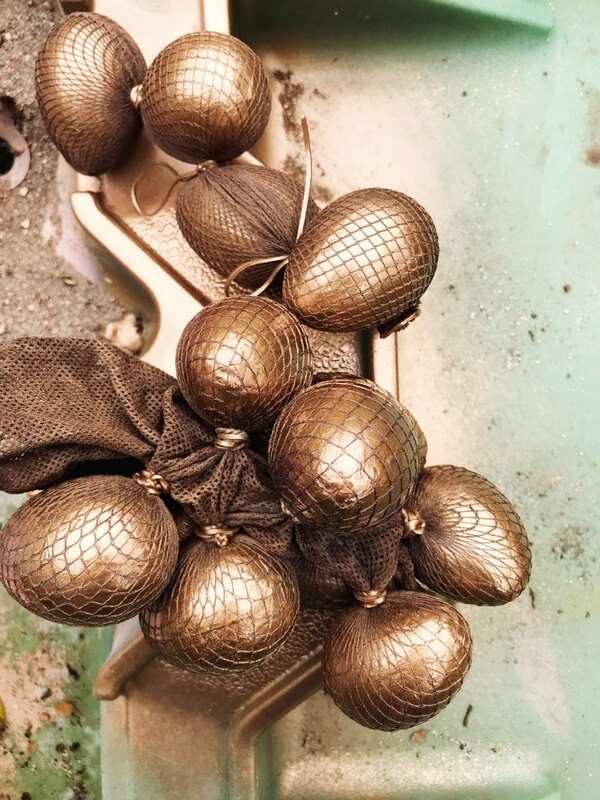 The way the fishnet stockings lay on the eggs will make the dragon scales on your eggs. Take the eggs outside and using a gold spray paint coat. Go with several light layers allowing for drying time in-between. The fishnets are acting as a resist to give you the dragon scales. The look is subtle and heavy handed spray painting will make you loose the look of scales. After the spray paint has dried completely cut away the rubber bands and discard along with the fishnets. 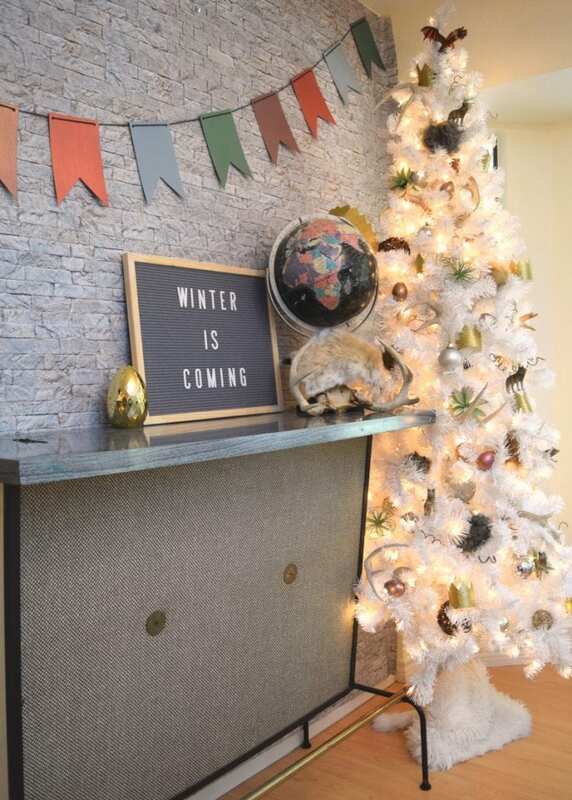 You can add a hanger if you want for your Game of Thrones Christmas tree, but I found mine nestled just fine in the branches without a hanger. Plus what if I want to put them in an Easter basket later? Not just on the tree, these DIY dragon scale eggs look pretty spiffy sitting on the table as part of the centerpiece. 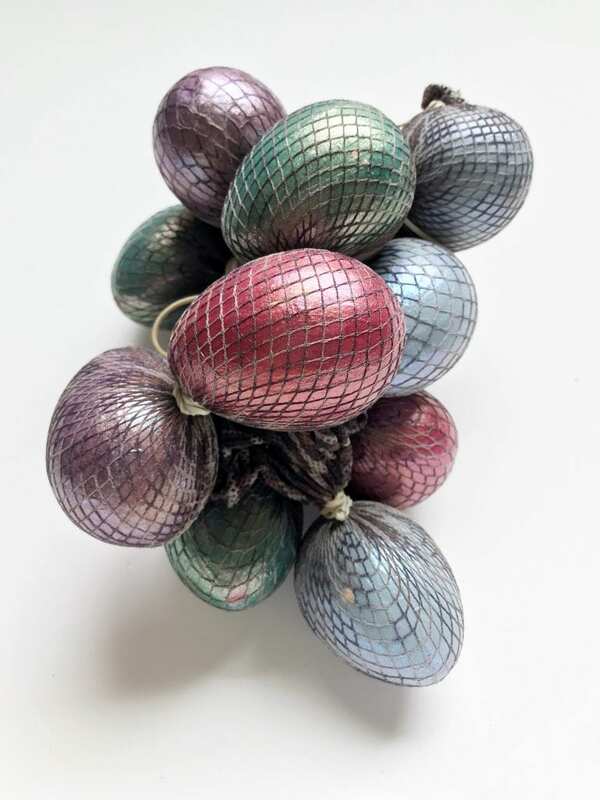 Remember these paper mache eggs come in all shapes and sizes so if you want to just go with three larger dragon eggs and stay true to Game of Thrones – you do you. I think even a Whitewalker would stop to get his picture taken in front of this Game of Throne tree. Ya know, if it didn’t happen on Instagram it didn’t really happen even the Night King knows that. Will you be watching Game of Thrones this weekend? Posted April 12, 2019 & filed under Easter, Holidays, Parties.